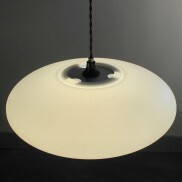 Effortlessly stylish, this disc shaped Etheletta pendant shines with a warm, even glow and can be used with B22 and E27 bulbs. 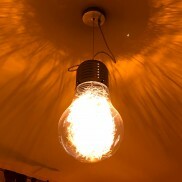 The Giant Light Bulb Pendant combines chrome, glass and aluminium wire to create a statement piece far more modern than your average chandelier. 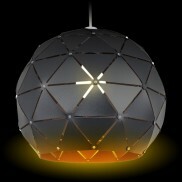 A stylish contrast of cool black on warm copper make this geometric shade a striking addition to your interiors. 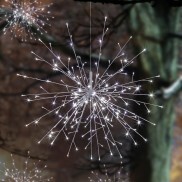 Go from modern metallic to striking colourful 3D star effect all at the flick of a switch with this stunning glass shade. 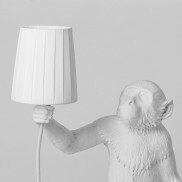 Give your Seletti Monkey Lamp a softer, more cosy glow with a white drum shade that sits on the bulb for easy placement. 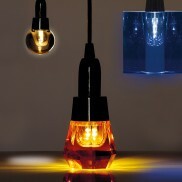 Sharp, elegant lighting crafted from crystal in amber, clear and blue for unique, individual style in your home. 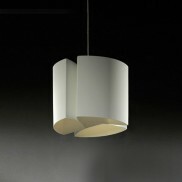 Complete the look in a minimalist styled room with a super sleek metallic Easilite Pendant Lampshade. 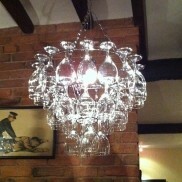 Raise a glass to stunning and unusual lighting with the contemporary Vino Wine Glass Chandelier. 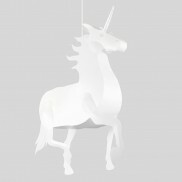 A stunning designer pendant light that scatters colourful sparkles of light onto surrounding surfaces and shines with a warm white glow. 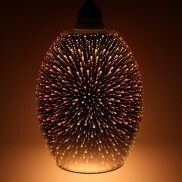 Go from warming copper to beautiful 3D star effects in stunning colour all at the flick of a switch from this striking glass shade. 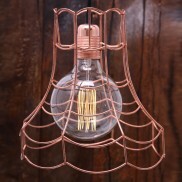 Add warmth to industrial lighting with copper tones from this vintage styled bulb cage. 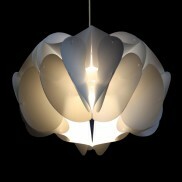 Kapow really does what it says, this acrylic shade really packs a visual punch. 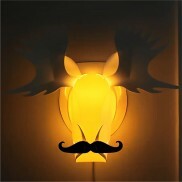 A dapper light fitting for the hipster home, Moostache puts traditional taxidermy heads in the shade! 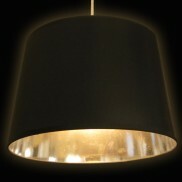 Black and chrome screams contemporary, and this Black & Chrome Lamp Shade is simple in style yet packs a real punch when lit. 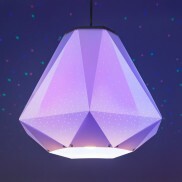 Brighten up your home with this stylish ceiling light shade, the Ethel Pendant Lightshade gives off an even glow and looks fantastic seen from above or below! 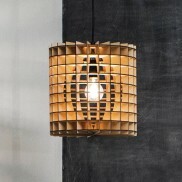 Made in the UK, beautifully laser cut eco-chic lampshade. 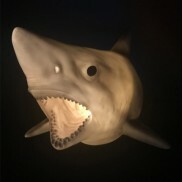 Enjoy wild light effects and make a serious style statement with a sharks head emerging from your wall, illuminated and ready to bite! 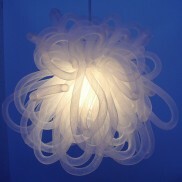 Contemporary lighting that adds a funky, up to date feel to your rooms. 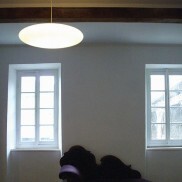 The versatile Dagmar lampshade looks so good that it can be used anywhere in the home. 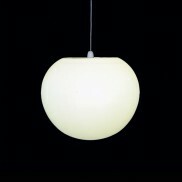 The matt white colouring creates an ambient glow that softens its surroundings. 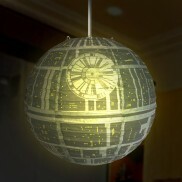 A light fitting that would make Darth Vader proud, the Star Wars Death Star lampshade turns your light fitting into a planet destroyer! Create stunning vintage lighting effects with this antique brass quad pendant with four braided cords and vintage bulb holders. 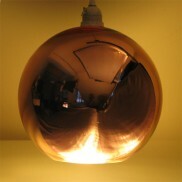 Replace those dull ceiling lamp shades with something a little more unique, this Polly Pendant Lightshade gives off a stunning lighting effect with its orb-shaped glow! 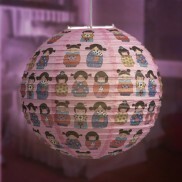 A traditional styled paper lantern lampshade, the Suki Japanese Paper Lantern is decorated with charming Suki Dolls for a cute, oriental feel. 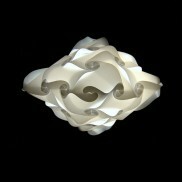 Get Japanese style with a decorative concertina paper lampshade. 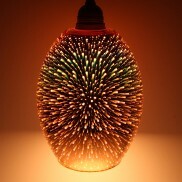 Please note that the Orchid Lampshade is for use with an energy saving bulb only, and must not be used with a non energy saving bulb. 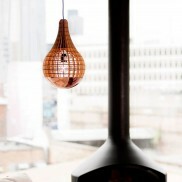 Create modern glamour with the Copper Globe Pendant, a stunning glass shade coated in highly reflective copper. 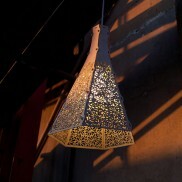 Achieve instant city chic with a high gloss Skyline Laser Cut Pendant Lampshade. 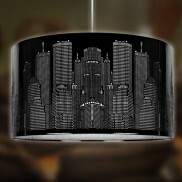 A sleek lampshade featuring a modern metropolis that illuminates when you turn on the lights to add inner city style to your home. 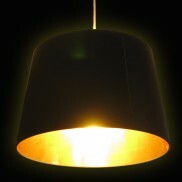 Black and gold is eternally stylish, and this simple yet eye-catching Black & Gold Lamp Shade will inject a little glamour into any room. 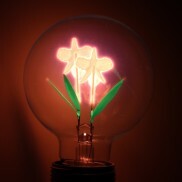 A softer approach to industrial lighting, the iris lightbulb features a stunning iris shaped filament that shines with a gentle glow. 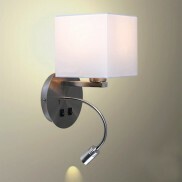 Practicality meets style in this contemporary multi function wall light that will even charge your phone! 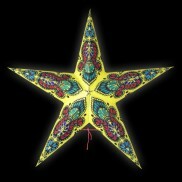 Brighten up a plain room with this colourful Middle Eastern inspired paper star lantern. 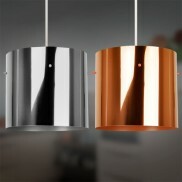 As the title may suggest, this is the same contemporary pendant shade as the standard Cog by Blue Marmalade but the intimo is designed with the more intimate space in mind. 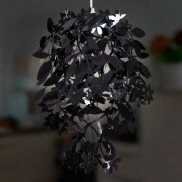 A stylish and feminine Black Floral Pendant Lampshade with cascading flowers and fauna. 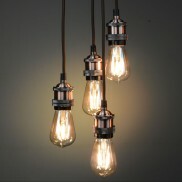 Suspend four vintage filament bulbs to create a stunning retro lighting feature with this brushed copper quad pendant. 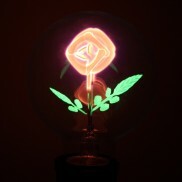 A beautiful red rose glows from within this filament globe bulb to create truly striking statement lighting. 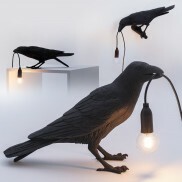 Designer lighting with scarily realistic detail, Seletti Raven Lamps capture the playful side of nature in three different poses.